Family and friends of Jon Farrell are raising money to pay for uninsured medical expenses associated with transplantation. Jon has chosen to fundraise with Help Hope Live in part because Help Hope Live assures fiscal accountability of funds raised and tax deductibility to the full extent allowed by law for donors. Donors can be sure that funds donated will be used only to pay or reimburse medically-related expenses. To make a tax-deductible donation to this fundraising campaign, click on the Give button. Once again Jon and I would like to thank everyone for all your support and prayers during his liver transplant. We would also like to thank those that contributed to the Help Hope Live foundation on his behalf as it has helped greatly. He is doing great and walking on his own without a cane or walker. We are truly blessed to have such caring and loving friends and family. Monday morning he is scheduled for surgery to remove the stent in his bile duct. We are anticipating that this procedure will go smoothly. Jon and Cindy xoxoxo. Currently Jon has progressed since hes been home from a wheelchair to a walker to a cane to now walking some without the cane short distances. He has completed home physical therapy and the nurse coming out to do blood work so he will start going out for blood work twice a week he will continue to have follow ups at Hopkins every 2 weeks. Thank you all so much for your support prayers and contributions as his meds are quite expensive. His blood work has been pretty stable . He does and will need frequent changes to his anti rejection medication as his level seems to fluctuate frequently at this time. Overall Jon is doing great. 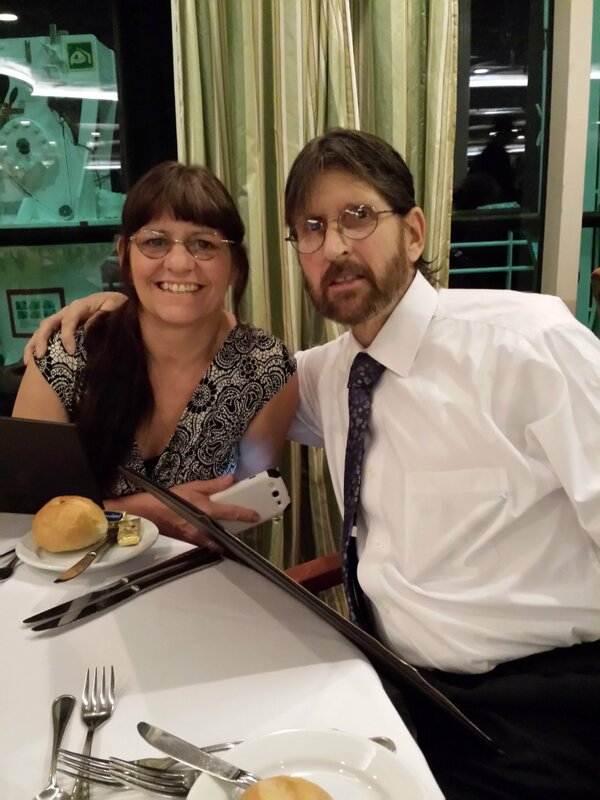 Update on Jon…Jon has advanced from the wheelchair to the Walker. He has been using the Walker daily instead of the wheelchair, except when he has long trips of walking as he gets tired easily and needs to rest frequently. Blood work continues to stay in normal range for the most part. Adjustment was made to his anti-rejection med(tacrolimus) as it was higher than they want it to be for him. Then also increased his gabapentin. Other than that, he has been doing great. Jon had his first Dr. Appt. All is well. Bloodwork all good. Had first visit from home nurse monday, all went well. Pt is coming tomorrow, much needed. Still requiring wheelchair. Thank you all so much for the continued support and prayers, very much appreciated. I never anticipated such a long Hospital stay and him requiring physical therapy to learn to walk again, it has been quite a journey for us all. Finally home from the hospital. He is still in wheelchair and will have pt, ot coming here 3x weekly and a nurse 2x weekly. Thank you all so much for the continued support and prayers. It is greatly appreciated. Update on Jon….. today Jon was discharged from the transplant unit and admitted to the rehab unit in the Meyer building 7th floor room 8. Instead of 1 hour a day, 5 days a week he will be receiving therapy from pt, ot, rt, and speech therapy for 3 hours a day, 7 days a week. Hopefully he will be up walking with a walker in a couple weeks. Thank you all again for all your support and prayers, it has meant a great deal to us. Update on Jon… his bilirubin is 0.8 AST 46 and his alts are 108. Seems like they go up a little and back down a little but not too much. He is now able to eat soft bite-size food if they can get his diet straight in the dining room. Every time we go to order they say he can’t have this and cant have that and is showing on his menu that he can have it. This has been going on for 4 days now which is very frustrating. They said that they will be moving him to the rehab unit in the Meyers building on the 7th Floor tomorrow providing the person who is in the room leaves tomorrow. Also his potassium level was a little elevated today and as long as they bring that back down to normal would be dependent on him going to the rehab unit also. He is doing very good other than the diet getting messed up. Thank you all again so much for your thoughts and prayers and support. Update on Jon… Jon went for the swallow test today and finally passed and he had his NG tube removed. They also removed his Foley catheter and his mediplex tube. They have him on a modified diet of moist, minced foods. He wasn’t very happy about his meal but slowly he will get there. Since Jon’s been in the hospital after the surgery he required insulin due to the tube feedings, hopefully now that the tube feedings have stopped he’ll be able to come off the insulin. His diet didn’t allow him to eat the types of foods he’s used to eating like spaghetti and mac and cheese because of the diabetes. His beverages have to be thickened to Honey consistency and he’s not very happy with that either but with a little time he should be able to drink liquids normally. Overall he is doing so much better and he is even able to assist getting himself out of the bed and into a chair. Thank you all so much for your support and prayers, it is greatly appreciated. Update on Jon …bilirubin is still 1.1 his AST and ALT (liver enzymes) continue to come down. Yesterday they capped off his trach for 12 hours today for 24 hours and then tomorrow they remove the trach. Monday or Tuesday he should be getting the swallow test again and they are going to take his NG tube out prior to the swallowing test to give him a better chance to pass it. His spirits seem to be doing a little better now. PT actually got him up in a wheelchair and took him off the unit, which is the first time he’s been off units and took him down to the gym and did work with him with the equipment down there, some different exercises. He seems to be doing better and improving each day. Thank you all so much for your continued support and prayers. On Wednesday January 24, Jon was moved a regular room at Johns Hopkins Hospital, Shiekh Zayed Tower, Level 9-West, room 5. Not sure how we feel about this since he will not get the same level of care as in the ICU/step-down rooms. He still is bed-ridden and cannot do anything for himself. But a regular room is another step forward to coming home so it is good news! Jon Farrell had a liver transplant on December 6, 2017. He was in intensive care until December 29 with serious complications. As of the end of January 2018 he remains in the hospital with a feeding tube, a tracheostomy (hole in his windpipe for a breathing tube) and unable to walk. His liver function is improving and he looks forward to passing a swallow test so the tracheostomy tube can be removed and he can eat, drink, and talk. He needs lots of physical therapy but has come a long way and full recovery is on the horizon! So glad to hear things are improving! Keep fighting Jon, and get stronger with every day. Hugs from an old friend. Jon chad and I are praying for you and miss you.We are so glad you are doing so much better.We hope webcam visit you at home. Hello Jon, I'm happy to hear that your doing better. Although we have never meet, I know Cindy and she is a very special person. I will continue to pray for you and your family. So glad he is doing better! Hugs! Pray for you two often. Always read the updates. it's amazing what God can do. You've come along way. Hang in there, one day you'll look back and this will all be a memory. Hi Jon, You and your entire family are on my daily prayer list. I've been praying that you get a little stronger every day. I'm so glad to hear that you are doing just that. Hang in there! And you too Cindy! Jon, So very sorry to hear that you have had to have a liver transplant. Focus on the positive that a liver was found for you and with time, prayers, strength, patience and endurance you will feel brand new!!! Keep Fighting! Stay Positive and Strong!! Thinking of you and sending healing prayers!! Jon, you have been in our thoughts and prayers daily. May your strength and the strength of your family see you through your recovery. Wishing you the very best. Jon, You have so many people praying for you, that your recovery has to be written in stone. Unfortunately, the process usually begins with baby steps. However, being the fighter and strong person you are, you will let nothing get in your way of making a full recovery. I will keep praying for you and good news about you. Hey brother taken you long enough but I knew you wouldn't quit. Keep fighting. Next step home hopefully. We're pulling for you. I am lifting you in prayer and my hope is for your full recovery. God has not left you alone on this journey and, to be sure, He will use all of it. One of my favorite scripture is Psalm 46:10 He says, "Be still, and know that I am God; I will be exalted among the nations, I will be exalted in the earth.". I just love that “Be still part!” Some translate it as “Stop your striving”. So rest up. He is near. Jon, Everyday we look for your updates and every time it's good news it's another breath of fresh air. Like I told you when you got out of surgery, you're going to get better and you and Shane are going to go shooting! You are going to be pop pop to yet another grandbaby and we couldn't be happier. We love you and are simply amazed by your courageous battle and strength. Keep fighting. We love you! John, we are so impressed with your strength. You have been such a trooper and have had such a strong spirit. We are praying for you each day and know that you can do all things through God who strengthens you !!! So glad to see you are doing better. I'm really looking forward to catching up once you're able. Hi John - We have known each other for many, many years now. I hope that one day, you will be pain-free and you will lead the life you and Cindy are meant to lead. Hopefully, with each passing day, you will get stronger and stronger. You and your family are in my thoughts. Youre such a strong person and you don't deserve to be going through this! You're also an amazing grandfather to Skylar and we couldn't ask for any better! We can't wait for you to be able to go home. We love you very much and we're so happy you're getting better every day. Dad, I can’t imagine what you’ve been going through, but you’re a fighter! You’re the strongest person I know & I can’t wait to see you when I come home. Keep pushing through! I love you so much! Jon, I love you so very much and so happy to see you progress each day. It has been such a journey for us both. I made a promise to you to be there thru sickness and in health. And I will continue to be there each and every day until the day you come home. The night we came in, we were told we would be here 7 to 10 days, and here it is almost 8 weeks. You are such a fighter! Hang in there and hopefully you will be coming home before you know it. Love you! Hey Jon, so glad to see you are getting better! Hang in there friend.. do you know we have been friends for over 50 years?? Jon. it is so good seeing you improve each day. You are and always have been strong and such a fighter. I know that you will pull through this and have many healthy years ahead of you so you can enjoy watching Skylar and your other grandchildren grow. Jon, My prayers have been answered. You are doing so much better. :)) I love you my dear brother-in-law. Soon you will be back home with your family. Jon, it has been hard to watch you fight and suffer through this difficult transplant process. But your courage and strength have been inspiring! You are getting better every day now so keep your spirits up and keep fighting. Soon the nightmare will be over and your dream of a healthy new life will be here. I love you and am proud of you.